In this section, it is possible to download the National Reports of IO1 from Austria, Italy, Cyprus, Turkey and Sweden both in English and in the national language. The national reports have been developed by each partner of the consortium: Verein Mulikulturell from Austria, CESIE from Italy, CARDET from Cyprus, Mozaik from Turkey and Folkuniversitetet from Sweden. The training for Mothers and Children will have the focus on fostering language skills and integration of refugee families. The training developed by the Swedish partner FU Uppsala who has broad experience in the provision of training activities will be targeted to refugee women and their children. 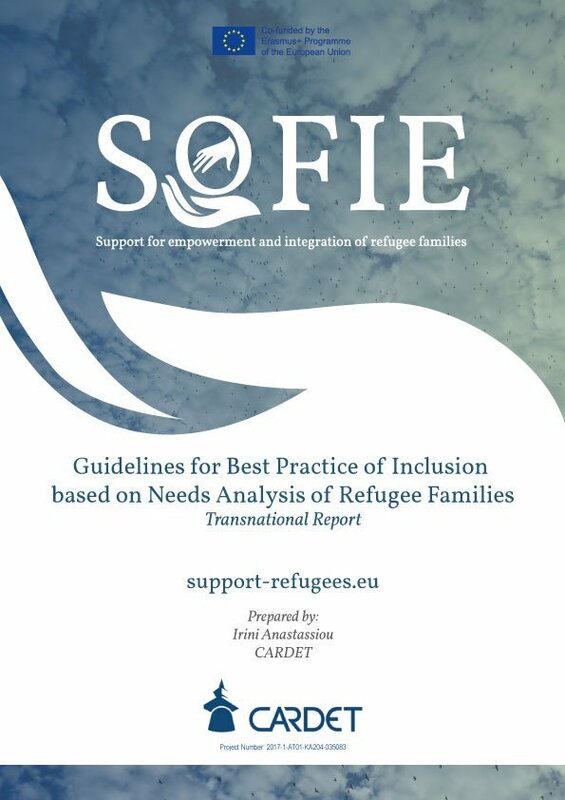 The “SOFIE” online tool is the heart piece for refugee information of the project: it will inform refugees at computers or their mobile phones where to find next support service for different relevant services for refugees, for next child care and education institution, next health care centre, language courses, service providers, short relevant local institutions for integration of refugee families. This IO will develop the Trainers Training for Adult educators, second language teachers, social workers and trainers working with refugee women and children. 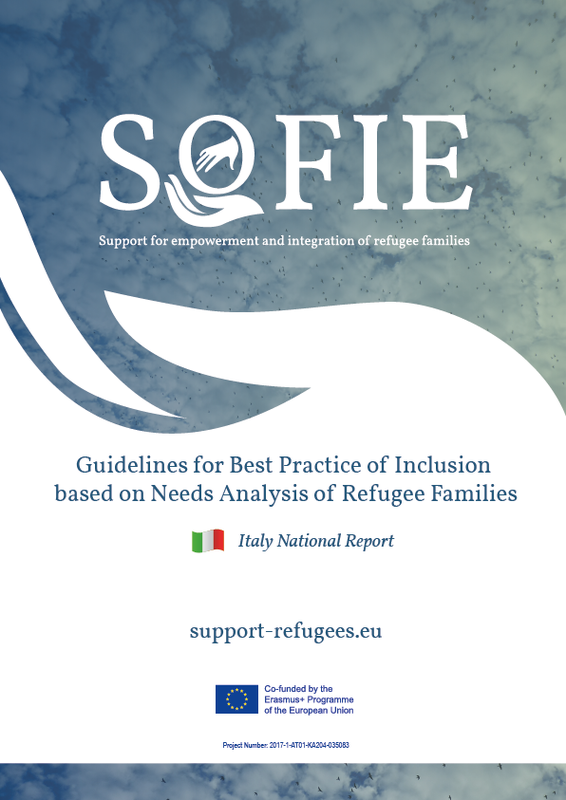 The focus will be on the methodology of SOFIE project Mother and Child course, on how to foster the host country language/the second language “L2” skills and acquisition of relevant information for refugee families by learning interaction between mother and children. The Turkish partner will develop the Curriculum. The Guidelines for Best Practice for Buddying/Mentoring by volunteers will give recommendations for organisations and trainers on how to prepare volunteers best for their tasks: dos and don’ts in daily practice with refugees for volunteers in the host countries. This IO will develop the e-Training for volunteers. The focus will be on skills and knowledge needed for their work with refugee families and how they can acquire those through the training. The e-lessons will be developed by the Austrian partner, due to their experience in working with refugee families and the design of e-trainings.